Genomics, Medicine, and Pseudoscience: Should a doctor fire an anti-vax patient? Should a doctor fire an anti-vax patient? The anti-vaccination movement continues to grow, despite the retraction and thorough discrediting of the 1998 scientific study that spurred much of its growth. The stubborn persistence of anti-vaxxers shows how difficult it is to dispel misinformation once that information is out there, even after dozens of new studies and millions of dollars in research that demonstrate that vaccines are safe. One of the most dangerous trends is the growing number of parents who refuse to vaccinate their kids, or who choose "alternative" vaccine schedules, such as the one promoted aggressively by Robert Sears (who goes by "Dr. Bob"). Sears appears to have simply invented this alternative schedule without bothering to conduct any scientific studies, in part to promote sales of his 2007 book, The Vaccine Book: Making the Right Decision for Your Child. Vaccine expert Dr. Paul Offit explained, in a 2009 article in the journal Pediatrics, why Dr. Sears' schedule was a very poor choice for children and for the public health. After thoroughly dismantling Sears' anti-science positions, Offit concludes, "Sears has a poor grasp of the scientific method." That's an understatement. Other doctors, perhaps jealous of all the attention that Sears has gained through his anti-vaccine writings and television appearances, have created their own alternative vaccine schedules. One of them, Donald Miller, even goes so far as to say that vaccines cause childhood cancer, despite the complete lack of evidence for this wild claim. Somehow Sears, Miller, and others like them have managed to convince many parents that their children don't need vaccines. In response to parents who don't want to vaccinate, many of whom show up with Dr. Bob's schedule in hand, pediatricians have struggled to find an effective response. Parents can be utterly convinced by the misinformation they find on the Internet, which is all too easy to find. (For example, Googling "vaccine" brings up the National Vaccine Information Center, a hotbed of anti-vaccine propaganda and pseudoscience, on the first page of hits.) By the time parents arrive with their babies for the first vaccine, convincing them to change their minds can be nearly impossible. Perhaps in frustration, doctors have started to "fire" their patients if they refuse to vaccinate. As reported by Shirley Wang in The Wall St. Journal last week, 20-30% of doctors in two different surveys, in Connecticut and the Midwest, reported having to kick patients out of their practices because of vaccine refusal. These numbers have roughly doubled over the past ten years, according to the American Academy of Pediatrics. Is firing a patient the right thing to do? It's a difficult question. On the one hand, doctors should do everything they can to make sure kids are vaccinated. If a doctor kicks a parent out, that parent may find another doctor who doesn't insist on vaccinating children, which ultimately harms the children. Doctors have to spend more time educating parents about the tremendous benefit of vaccines, about the very strong evidence (based on tens of millions of doses) for vaccine safety, and about the frightening consequences of infection with meningitis, hepatitis, measles, polio, and other vaccine-preventable diseases. On the other hand, unvaccinated children bring diseases into the pediatrician's office, where they can spread them to other children. Some of these other children are too young to be vaccinated, and childhood infections can be extremely dangerous, even fatal, in the very young. From this perspective, "firing" a patient might be the only responsible action, after first trying to convince the parents to vaccinate. I know that I wouldn't want to bring my child to a doctor's office where unvaccinated children were in the same room. I understand how nervous a parent can be about vaccinations. I will never forget the day my older daughter got her first vaccine: the needle looked huge compared to her tiny leg, and she screamed when the doctor gave her the shot. But she was fine a few minutes later, and she'll be protected against a dangerous infection for her entire life. Vaccines have been so successful at eliminating childhood infections that parents no longer see these infections as a threat. Ironically, the very success of vaccines has allowed the anti-vaccine movement to sway so many people. Doctors may have to keep firing the parents of their young patients, but I hope they'll first make every effort to educate them. They need to explain that vaccines do not cause autism, nor do the ingredients in vaccines, and that scientific studies involving hundreds of thousands of patients support these conclusions. They should also explain that many of the anti-vaccination claims on the Internet started when Andrew Wakefield published one small study of 12 patients, now retracted, claiming a link between the MMR vaccine and autism. Investigations later revealed that he was paid by lawyers to recruit patients for a lawsuit against vaccine makers, that he didn't reveal these payments to his co-authors or the patients, and that he manipulated the data. Since then, the anti-vaccine movement has exploded and we've experienced multiple outbreaks of measles, mumps, and other illnesses linked directly to unvaccinated children. Doctors interviewed by the Wall St. Journal reported that they had convinced at least some parents to follow the recommended vaccine schedule. Perhaps that's the best we can hope for. If we're going to avoid a return to the era when children routinely died from infections, we must keep trying. Great Post. You might also have mentioned Seth Mnookin's "The Panic Virus: A True Story of Medicine, Science and Fear", that was published at about the same time. Reading some of the numerous negative, one-star, reviews of these books on Amazon is instructive and frightening. The reviewers' attacks are astonishingly vicious, personal, hysterical and almost violent in tone. Most of these reviewers appear not to have actually read the books. Bizarrely, they accuse Mnookin and Proffit of being corrupt, biased and anti-scientific. 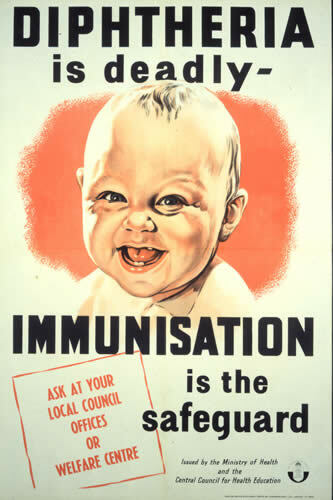 Tragically, they often cite the sufferings of babies and small children as reasons not to vaccinate. It is clear that there is no possibility that scientific and documentary evidence and rational arguments will ever change their minds. This post makes me think of another question. If doctors decide not to 'fire' their patients, do they have any sort of ethical obligation to let the other patients know that they are treating non-vaccinated kids? Even though it is impossible to completely control with who your child comes into daily contact, in the past one has assumed that when my kids are in the dr's waiting room (either b/c they are sick or with other sick kids), that everyone is on the regular vaccine schedule, but now this may not be the case. If doctors are gong to treat non-vaccinated kids, should other parents be made aware of this so that they can decide whether they want to take the risk of exposing their kids in the dr's office? You state at the beginning that “the anti-vaccination movement continues to grow”. I had thought that it was diminishing somewhat since the exposure of that British doctor whose paper was finally retracted--sorry, his name has suddenly escaped me!. I wonder if you could explain how you arrived at this conclusion. I realize that I have no idea one way or the other and have just assumed my impressions from general reading, so would be very interested in some figures or citations if you have them. If you are correct--and I am now thinking that you are--do you have an idea of the percentage of people who are involved to the point of refusing all vax and also what percentage may be using alternate schedules? How big is this problem? I was referring to the fact that pediatricians report a growing number of parents who either refuse vaccines or who request an "alternate" vaccine schedule - most often the one that is heavily promoted by Bob Sears. Despite the fact that Andrew Wakefield has been discredited, others like Sears have taken up the flag, using different tactics and arguments. The surveys quoted in the Wall St. Journal didn't have precise numbers of patients - instead, they counted the number of doctors who reported that some patients refused vaccines. That number is growing, from which I inferred that the number of anti-vax parents is also growing. And if you want to see anecdotal evidence, go to my Forbes Blog and read the comments, which have been dominated by anti-vaxxers making all their usual (erroneous) arguments. There are 112 comments already, probably 90% anti-vax. Anon: your understanding would be wrong, then. Dr. Sears' schedule does indeed violate the standard of care, as recommended by the American Academy of Pediatrics. Their immunization schedules are based on extensive scientific research and are easily available for anyone - parents or pediatricians - to read, at http://www2.aap.org/immunization/. Anyone can make up an "alternative" schedule but that doesn't make it good medical practice. Sears' promotion of his schedule - and his books and other products - benefits only him. It is reprehensible. It's unclear to me why you think I'm wrong. If you have an actual reason, write it down in a post. But be specific. Are you saying that the vaccination schedule must be given to the exact day with no alteration whatsoever? I'm not and I assume you are not, a pediatrician. By the way have you looked at that link you posted? What specifically in that link indicates that Sears schedule is wrong? Anonymous: you are engaging in a classic fallacious argument: asking me to "prove" a negative. There are an infinite number of "alternative" practices, and we can't prove them all wrong. Instead, we (scientists, that is) try to provide positive evidence that recommended procedures are effective. In this case, the onus is on Bob Sears to first provide scientific evidence that his recommended schedule is good, which he has never done. He just made it up and then made up assertions about it. I could make up a vaccine schedule right here and claim it's fine, and support it with reasonable-sounding arguments. That wouldn't make it OK, and it would not be reasonable to insist that others "prove" that it's not OK. The link I provided shows the recommended, scientifically supported vaccine schedule of the AAP. There are many studies to support their recommendations. Sears has none. He's just making stuff up. Do you think that asking you to support your position is "a classic fallacious argument" ? And with respect to Dr. Sears, do you really stand by your comment of "He's just making stuff up" ? Look, you can disagree with Sears, but is the comment accusing the guy of "just making stuff up"
what a respectful man of scientist should say? If someone accused you of "just making stuff up"
so sorry to have asked to ask you for proof" ? Steven Salzberg correctly pointed out that Sears's vaccination schedule is not based on any scientific evidence or research to show that it is superior to that of the American Academy of Pediatrics, whose schedule is based on scientific evidence and research. The burden of proof is on Sears to prove that the foremost pediatric medical organization in the country is in error. Making specific medical and scientific claims without offering proof is, indeed, "making stuff up" and Sears can be legitimately challenged for such unfounded assertions. The proof that Sears is "making it up" is the fact that he offers no proof. I have no problem with someone saying: here's why I disagree. read what Sears has said about his variance in the guidelines. I can read the mind of the person I disagree with and therefore I can charge them with making something up, other scientists may find that problematic. Your "making stuff up" comment could be expanded upon or at least stated in a different, more explanatory way. Did you read Paul Offit's article via the free link? 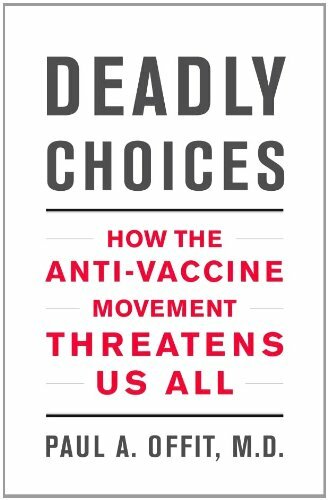 He details how Sears ignores or misrepresents the actual science that has been done in vaccine research, how his inability to grasp the scientific method leads him to distort the epidemiological success of the current medically proven vaccine schedules and how his own alternative schedules are illogical and extremely dangerous to both individual children and the entire population of children in the U.S.
Offit has already, point by point, rebutted and discredited Sears's arguments. As Steven Salzberg has already pointed out, the onus is on Sears to prove his contentions with scientific, evidence-based, logical arguments. If you wish to defend Sears, then the onus is on you, as well, to make similar arguments, not on Steven Salzberg to "prove" a negative. I was out of state last week. If you provide the Offit link, I will take a look at it. you may be getting exactly one side of an argument. I am familiar with Sears idea with respect to his alternate vaccine plan and I don't think he advocates preventing children from getting all childhood vaccines. The Offitt link is in the second paragraph of Steven Salzberg's original post, which is still available directly above the comments section. Did you even bother to read the post before you started commenting on it? I think people may come to the conclusion that Dr. Offit is completely correct if they just read his article. Dr. Sears points out where Offit somehow managed to misrepresent Dr. Sears's alternate schedule. schedule won't be getting a flu shot untila age 5.
what book Dr. Offit was looking at. Not mine. Steve and others who have commented: please look at the rebuttal prior to coming to conclusions on this one. I think all commenters should look at both sides of the argument. I looked at the article that Dr. Offit co-authored (the link is in the main post) and Dr. Sears rebuttal, which is listed in one of the above posts (not the main one by Dr. Salzaberg, but lower down). Dr. Offit's article is, at times, not documented or it may be that at those times he is giving his opinion as to what he thinks is the case. It's fair for him to give his opinion; however, if someone else has published that opinion in a peer-reviewed journal based on evidence (and he cited to that opinion), I think it could give his opinion more weight. His mistake as to the age of the child (noted in previous post) should not be take lightly; if you're trying to convince people that your opponent is wrong, and then you're wrong on a pretty basic fact, you may end up convincing people that actually you're wrong.